Rome (Agenzia Fides) - It is right to help the countries of the South of the world, but it is difficult to commit oneself. It is right to support the missions, but without changing one’s lifestyle or point of view, in Western societies. This is the trend photographed by a survey carried out by Censis entitled "Mission, international solidarity and lifestyles" and presented in Rome on the occasion of the thirty years of "Magis", Foundation that coordinates the missionary and international cooperation activities of the Euro-Mediterranean Province of the Jesuits. According to the survey, young people have a strong and missionary spirit that, in 47% of cases, consider it right to be alongside the countries of the South of the world (among pensioners, this response falls to 31%) and are ready to get involved directly. The survey involved men and women aged 18 to over 64. 77% of respondents generally believe "it is right to be close to the countries of the South of the world". But only 20% of respondents say they are willing to offer an economic contribution and to be involved and only 15% think it is appropriate to change their lifestyle: the majority does not find any correlation between the western lifestyle and the situation or problems of the South of the world. 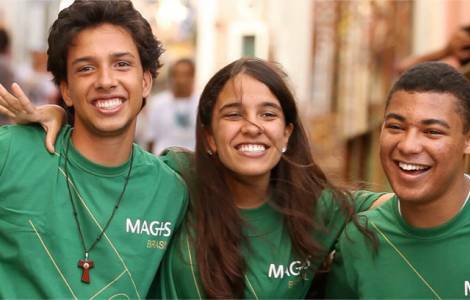 The Jesuit, Renato Colizzi, president of Magis, said: "Ours is a cultural challenge, since it has to do with the future of our communities, but it is also a religious challenge that touches evangelization. Magis has already 30 years of experience: we will continue to work for a common world-home in which to celebrate life that goes beyond violence and corruption, helping local communities to become, in the spirit of the Gospel, actors of integral human and sustainable development".